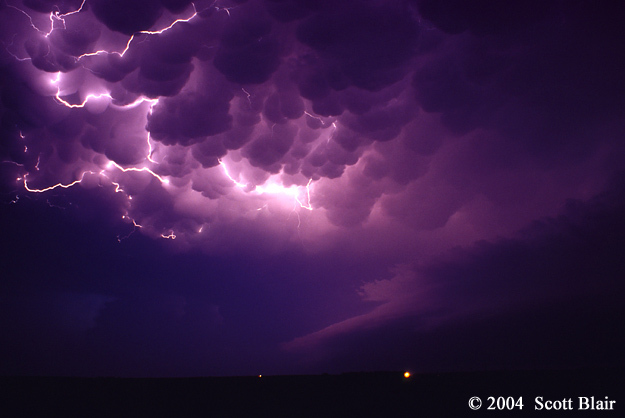 A fun photo opportunity of summertime nocturnal convection occurred on 7 August 2011 over northeast Kansas. 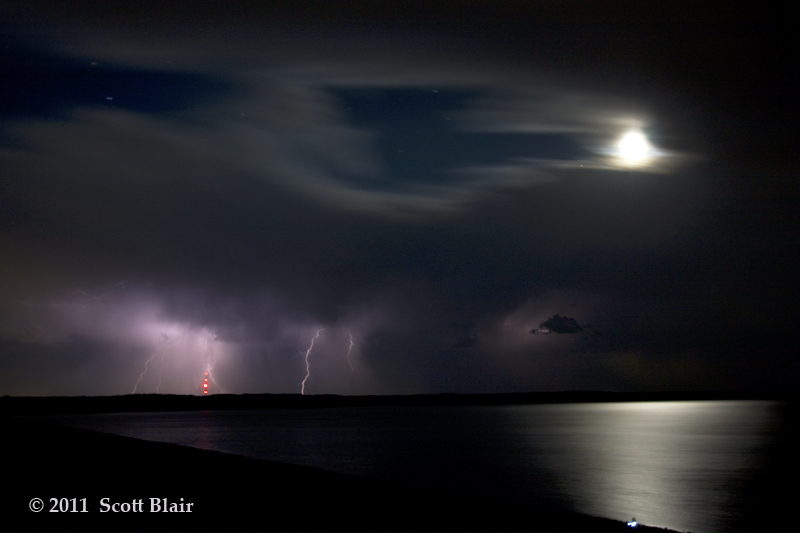 Initially, we watched a distant t-storm to the south of Clinton Lake. 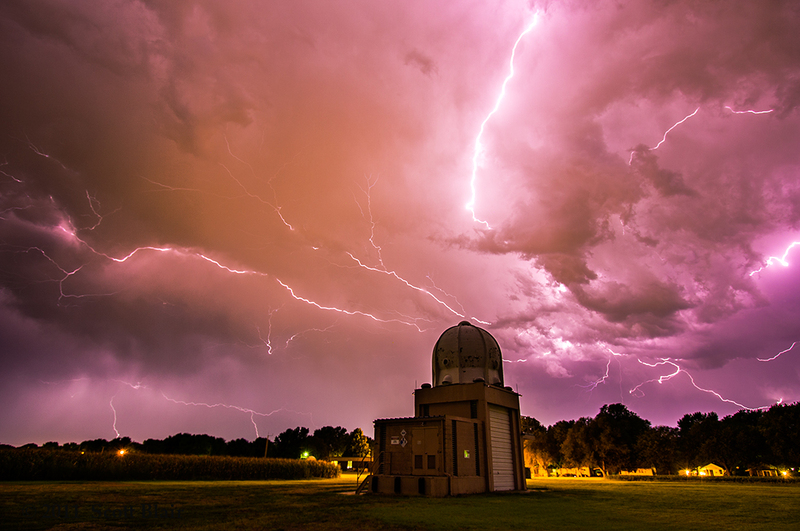 A stronger complex of storms developed to the west, so we drove out to NWS Topeka to use the upper air shelter as the foreground. After a few close anvil crawlers, we called it a night. 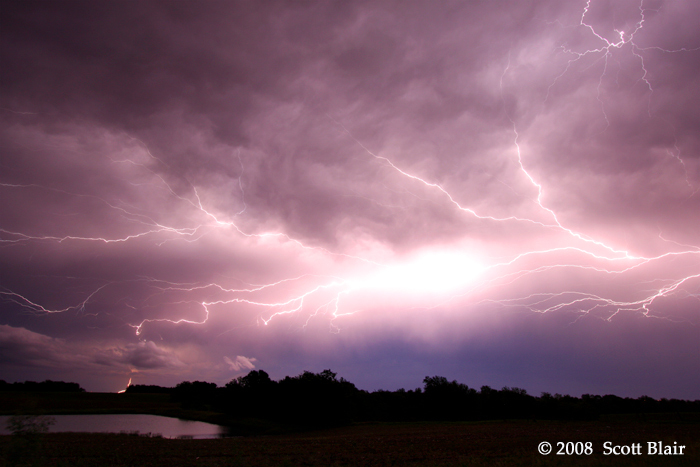 An unbelievable lightning display captured over West Monroe, LA during the twilight evening hours of 19 June 2004. 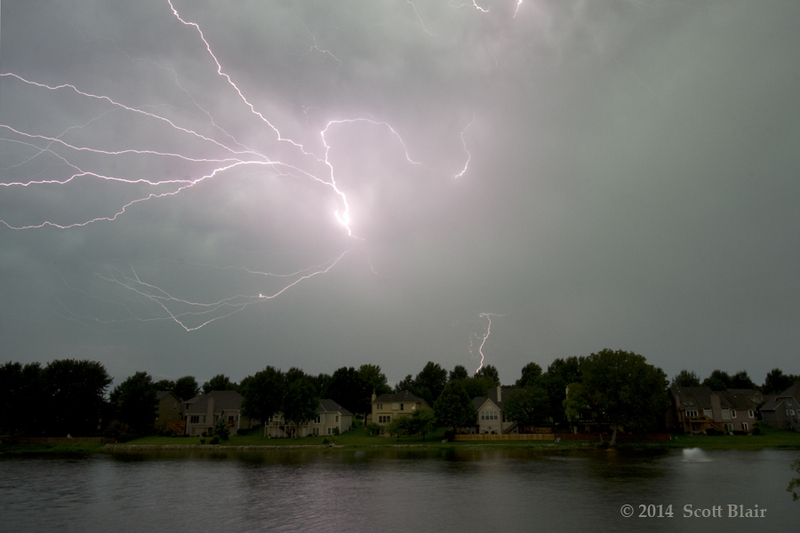 The first image shows lightning striking a tree within 300 yards of my location. It actually took over one year to process this roll as I had temporarily misplaced the slides in a compartment in my camera bag. You can imagine my surprise the following year upon developing the film. 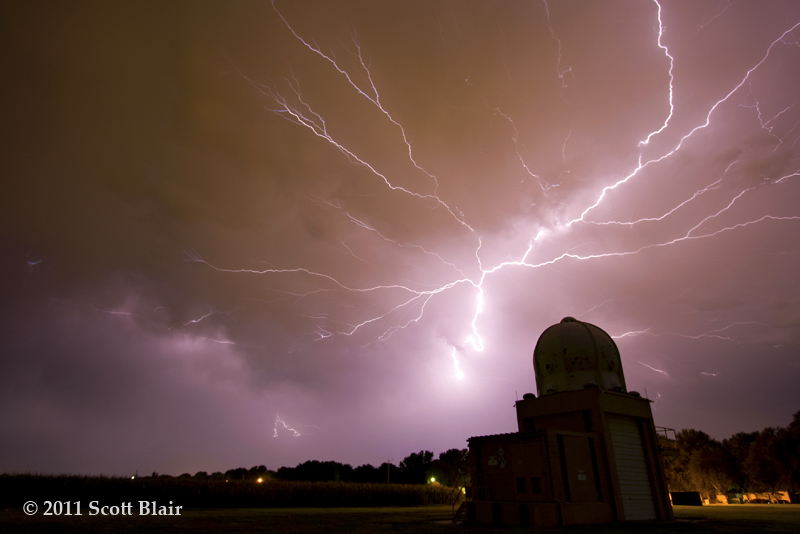 After a long and semi-productive chase across north central Missouri, nightfall brought a highly electric lightning show. 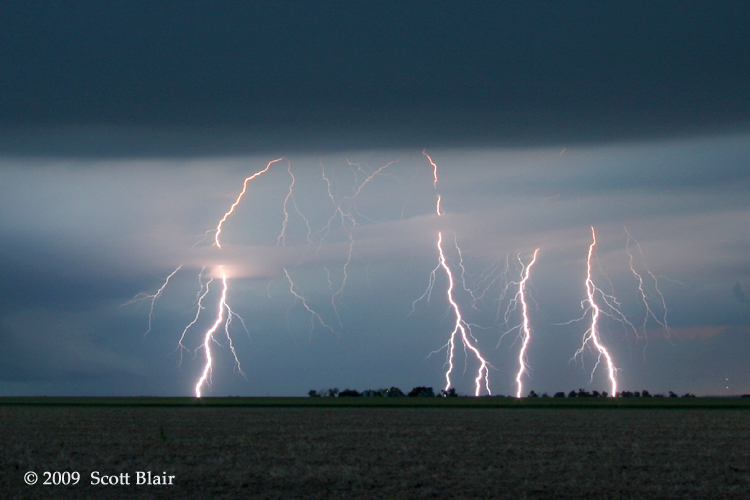 Even with the active frequency of the in-cloud flashes, it was surprising difficult to capture well-defined bolts. 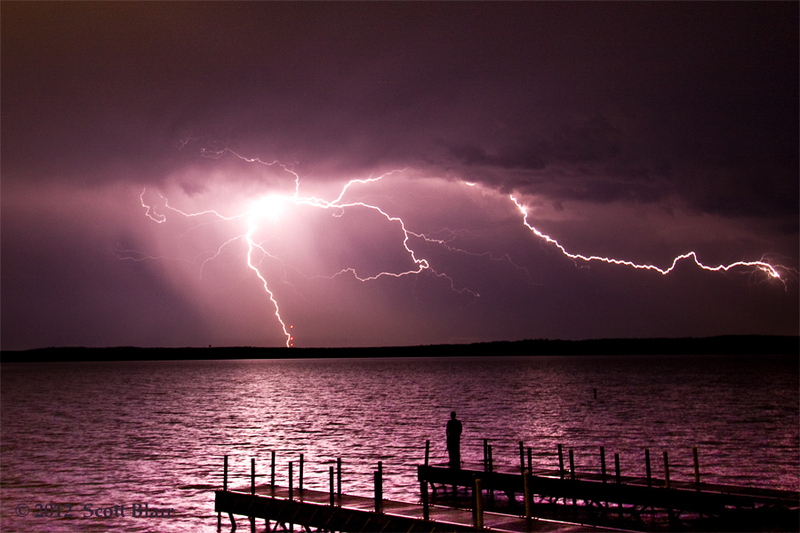 I managed to photograph a close cloud-to-ground lightning strike within a chaotic-looking sky. On the way home, several brilliant anvil crawlers lit up the countryside. 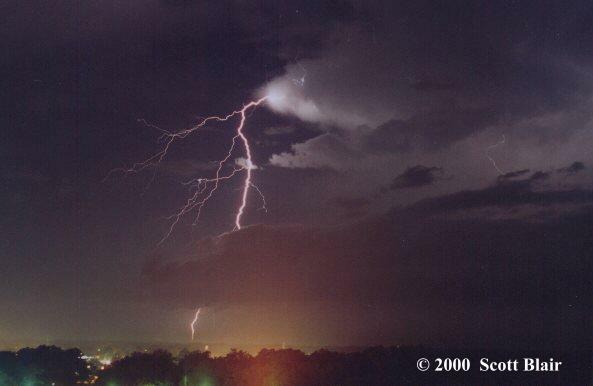 A collection of lightning photos from my old house in southeast Kansas City. Two of the photos were taken around sunrise, which presented a solid challenge for a good exposure, but also yielded a spectrum of colors. 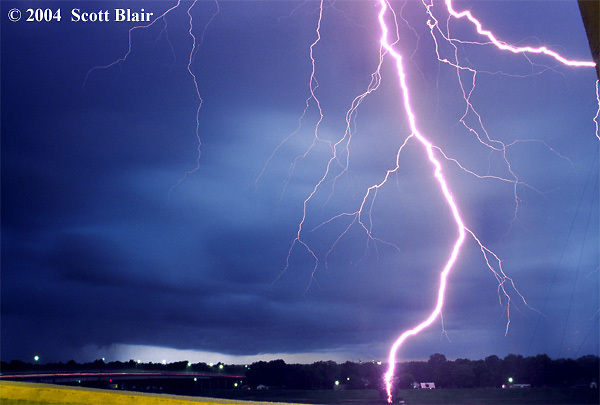 These are two of my favorite lightning photos from 2012. When the primary period of mobile chasing ends each season, I enjoy venturing out to local spots to photograph nocturnal lightning. Jared Leighton accompanied me in both of these shoots, and he can be seen at the end of the pier watching the lightning over the lake. A spectacular display of lightning anvil crawlers combined with well-developed mammatus clouds made for a classic photo opportunity near Fairbury, NE. 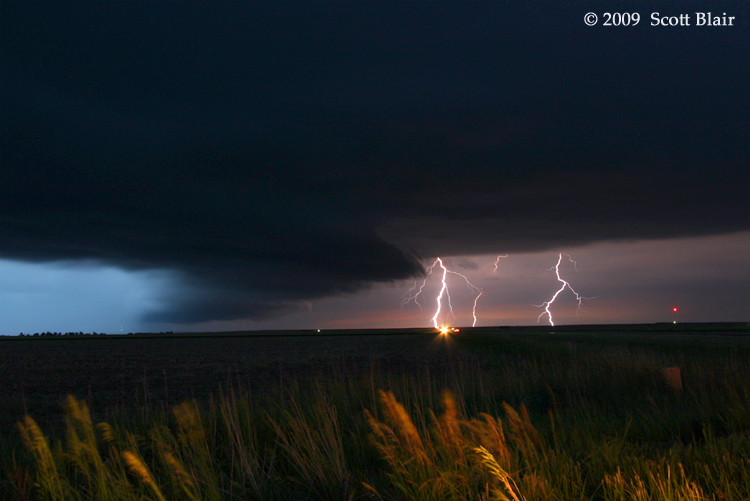 The structure in these photos is associated with the backside convection behind the supercell that produced a devastating tornado in Hallam, NE. 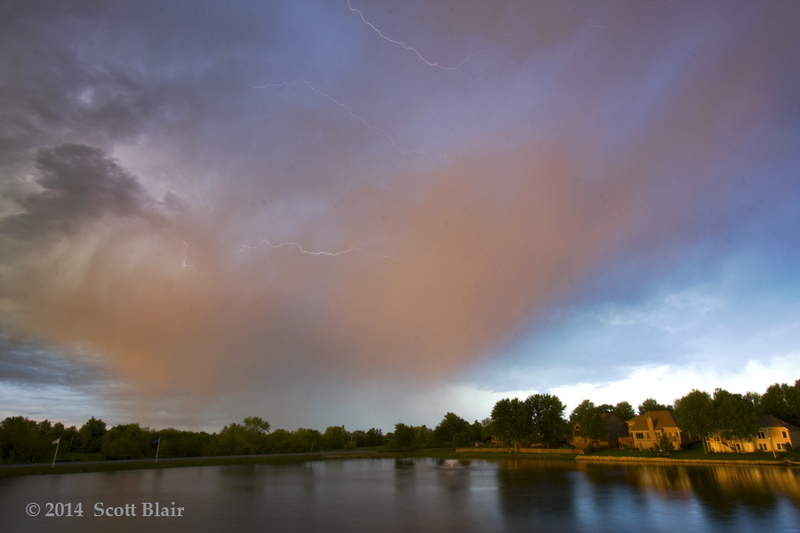 It had been a frustrating chase, but the photos at the end of the day turned things around. 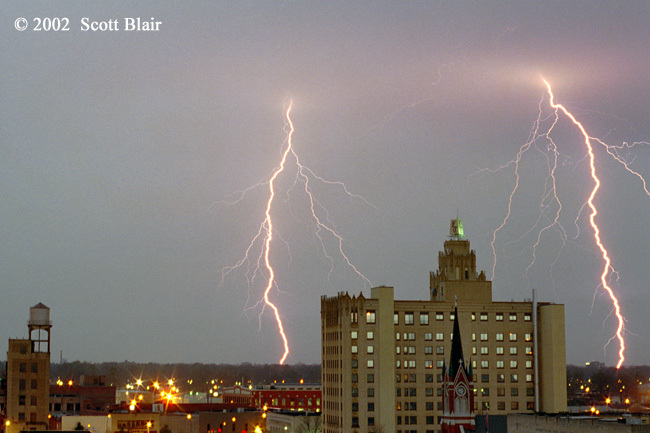 One of my favorite locations to photograph lightning while in college was downtown Monroe, LA on top of a seven-story parking garage. We received permission from the owners and would drive up any evening there might be a good lightning show. 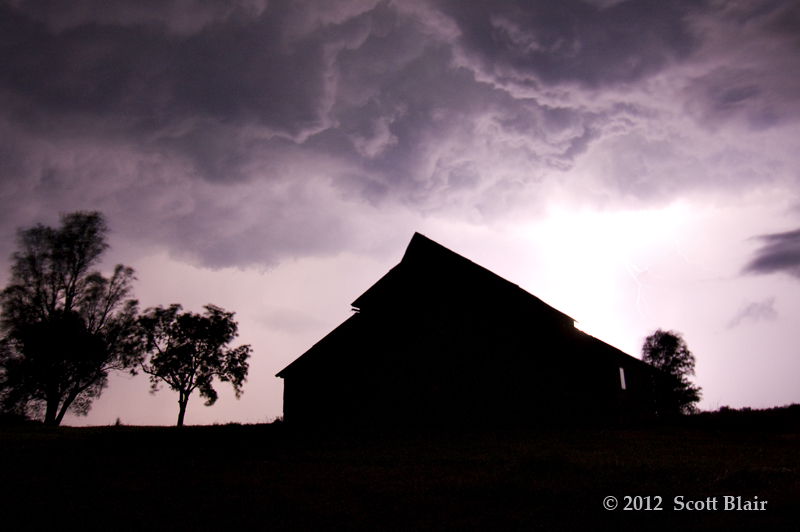 Here are two examples of lightning encounters utilizing the unique foreground of older buildings. 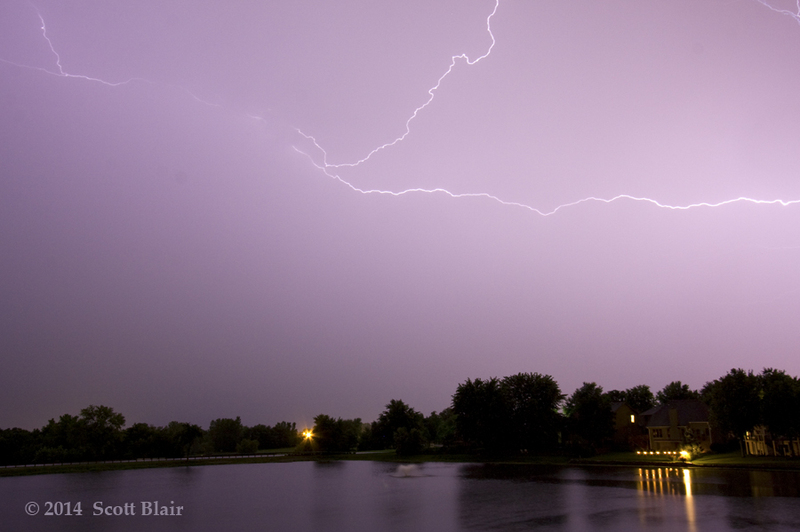 An isolated late evening thunderstorm developed over Lawrence and I took the opportunity to photograph a few bolts. 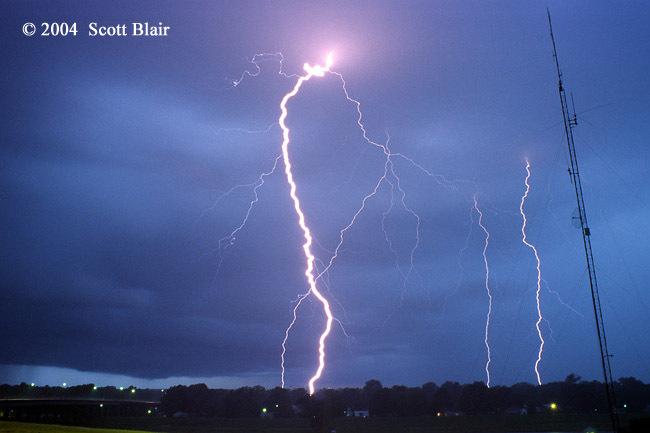 Much of the lightning occurred outside of heavy precipitation, allowing for the bolts to be crisp and clear. 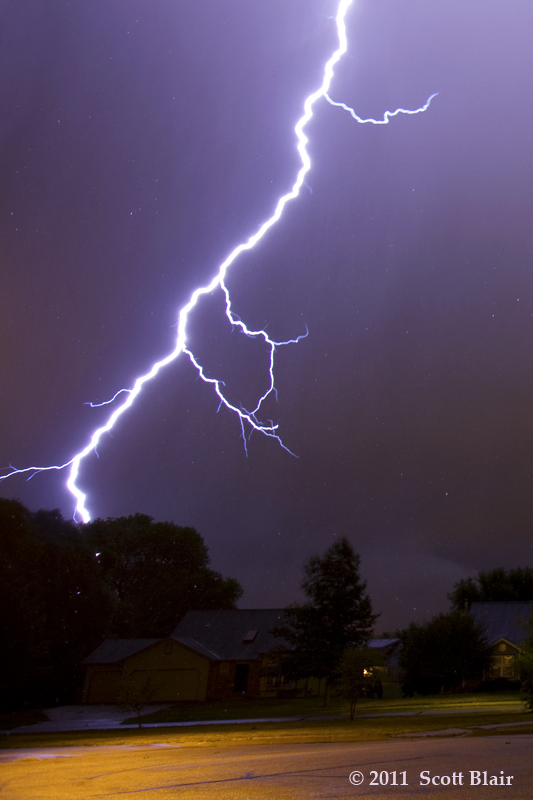 This close cloud-to-ground lightning struck on the other side of the neighborhood. 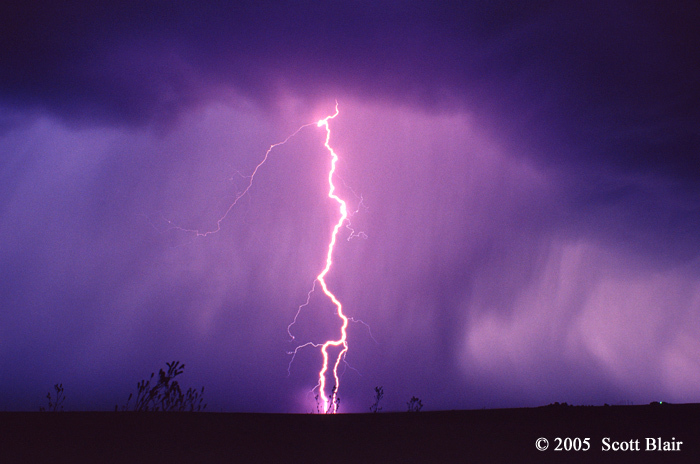 Rain drops can be seen illuminated and suspended in air in the photo. 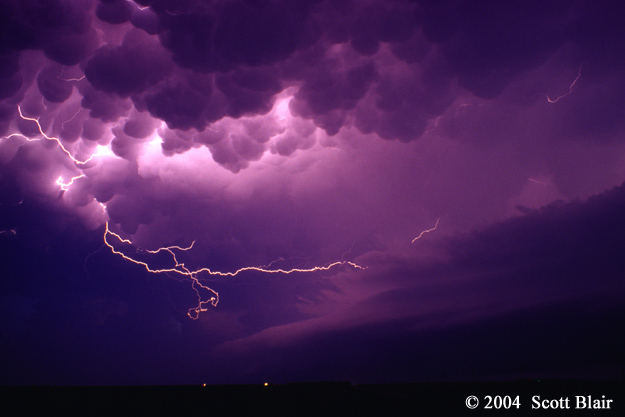 A relatively weak summer storm approached Goodland, KS on the late night of 26 August 2006. I drove to the west side of town and stopped next to a sunflower field. 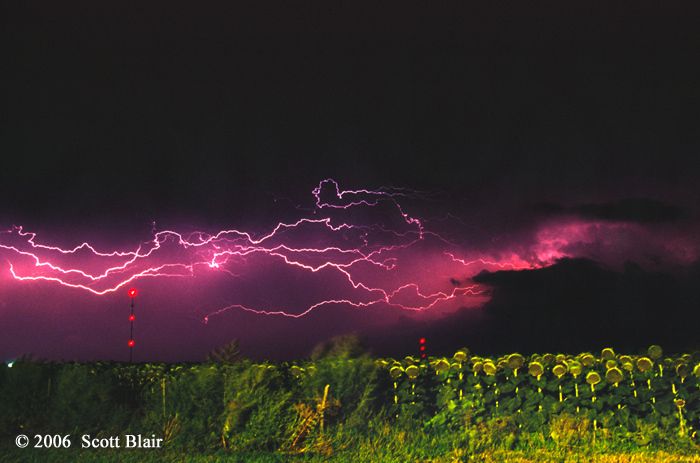 I quickly exposed the foreground with my car lights and was lucky as a few anvil crawlers danced over the horizon. After spending several hours in some beautiful country in western Nebraska, I stopped south of Osborne to enjoy a decent lightning show. 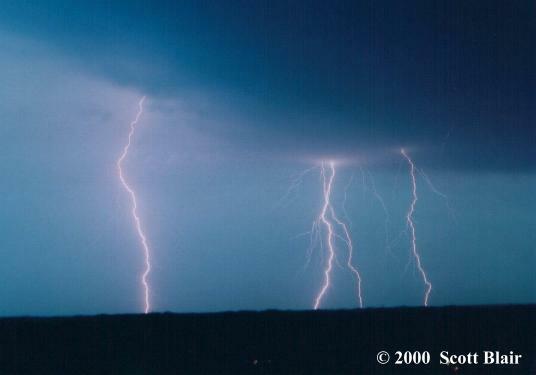 The vault region was a fairly productive cg lightning machine. 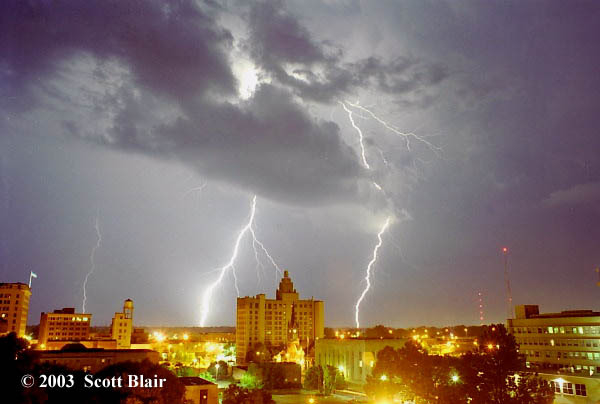 Another location I enjoyed to photograph lightning early in my colligate career was from an 11-story dorm room balcony on the campus of Louisiana-Monroe. This was the tallest building in town, which provided an excellent 360-degree view. Even though we had a roof over our heads, one couldn’t help the fact to be a little nervous when storms finally arrived. The building was condemned in 2001 and was imploded in 2004. 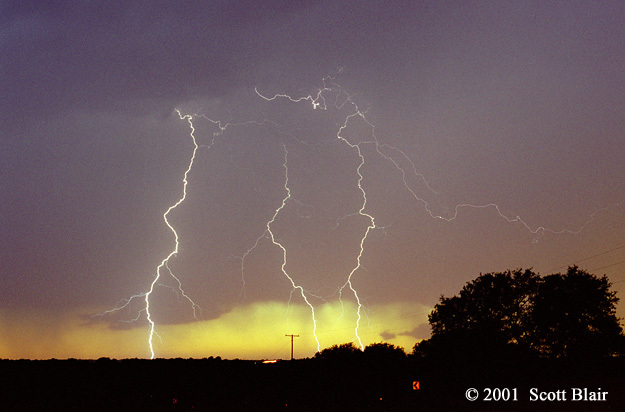 High based convection provided a nice lightning show just after sunset on 28 May 2005. 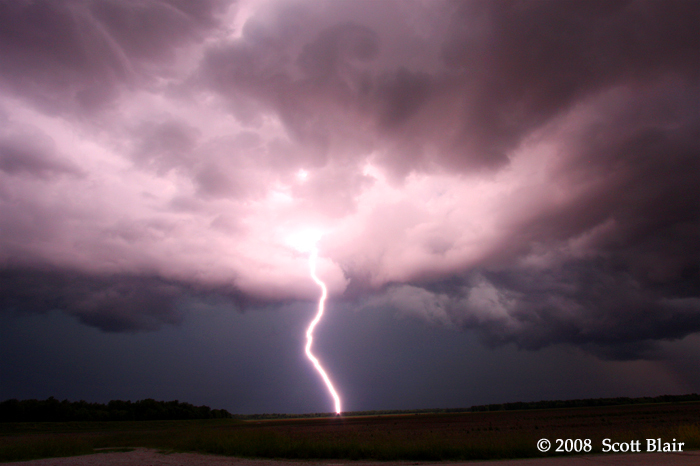 This lightning bolt struck just outside of the large rain and hail shaft. 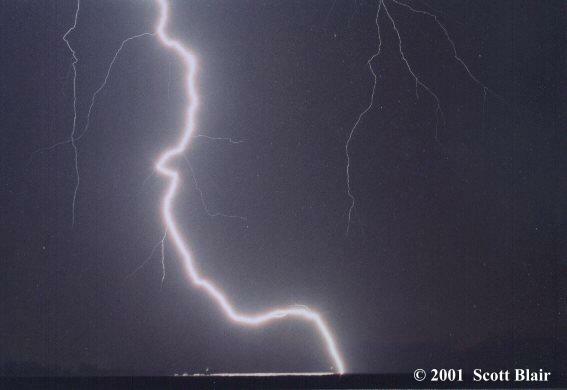 Notice the glow near the surface associated with the lightning. This is the result from downburst-type winds driving precipitation outward at the surface and through the electricity channel. 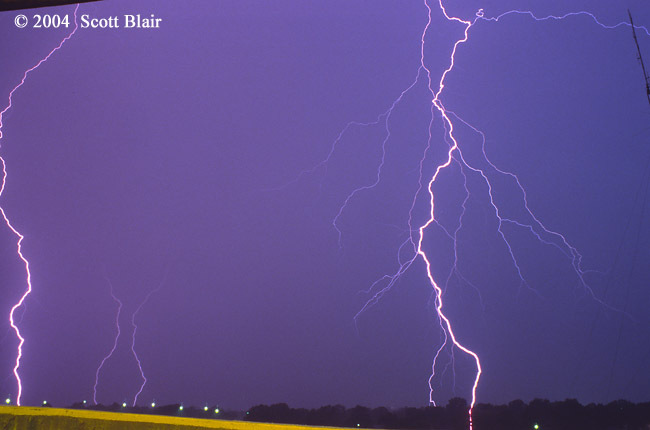 This lightning display was captured south of Interstate 10 in south Texas near Rocksprings, TX just after sunset. The supercell we had chased during the daylight hours shifted into a region with no roads, so we settled for some lightning opportunities instead on the backside of the storm. The lightning was quite enjoyable on the way to San Angelo, TX for the night. 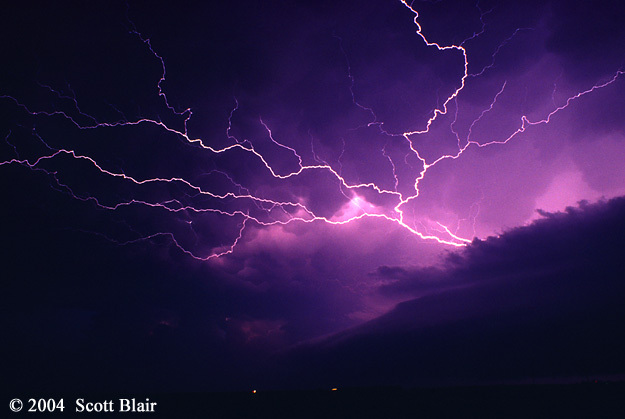 © 1996-2014 -All pictures and images are copyrighted by Scott F. Blair. Any reproduction either electronic or otherwise is strickly prohibited by Federal Law.